Easy Star Wars Cupcakes? Yes it can be done! So I was cruising through the galaxy and came across all these easy ways to make your own Star Wars cupcakes. Ever since Disney released The Force Awakens Star Wars is everywhere! I love that everywhere I go someone is selling something Star Wars related, and it makes my inner geek squeal with delight! I thought since this is the first Cupcake Sunday that I have done in a while, why not start with a Star Wars themed one? I absolutely love these stencils! You can find them on Amazon or Williams-Sonoma, but both places seem to be out them. Booooo! But I think you could probably just make your own stencils right? I know most of you DIY'ers out there are pretty creative. For me though I think I will keep a watch out for these awesome stencils and hope they more in stock! Now these look easy right? Bake whatever flavor cupcake you want, and find some jumbo marshmallows and draw some storm trooper faces on them? I love this idea! 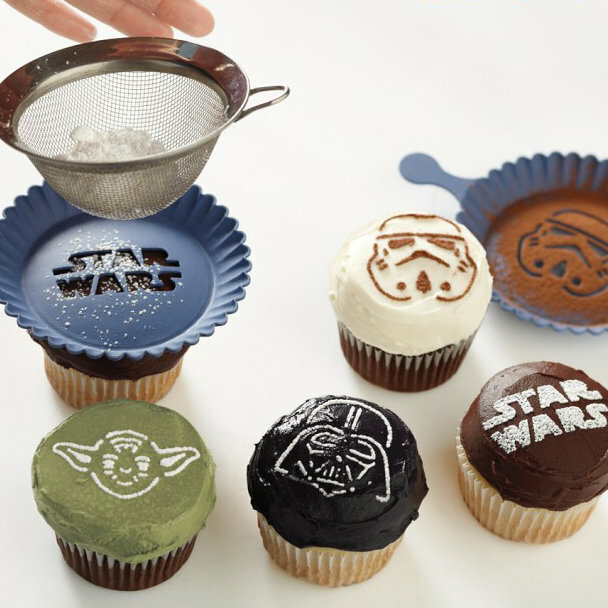 This is exactly what I have in mind when it comes to easy star wars cupcakes! Bravo to this mom for hitting it right on the mark! This would also be a fun project to do with the kids together. I think you could get really creative with some food dye and make other characters too. Oh Em Gee!!! 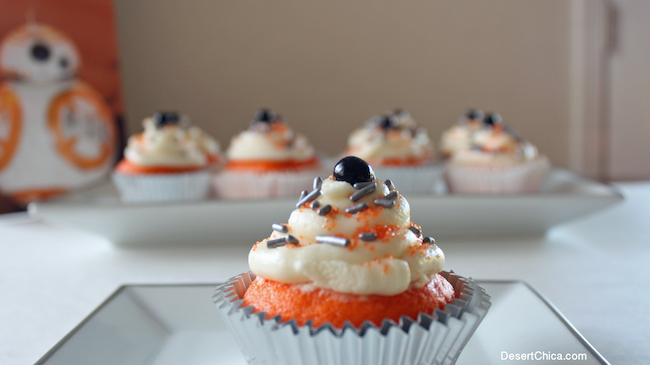 I about died when I saw these BB8 inspired cupcakes!!! How creative right? I love how simple they are, and totally geeky at the same time! Kudos to Miss Karen over at Desert Chica for making these absolutely adorable cupcakes. I think I'm going to have to make these the next time we have a Star Wars marathon (which is very frequent in my house!) I've always loved the color orange in relations to cake or cupcakes, it just pops! 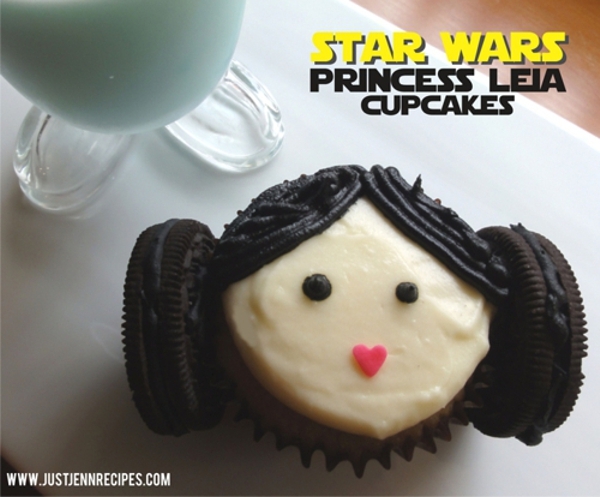 Can I just say I need these cute Leia cupcakes like now? Over at JustJenn recipes are the step by step instructions for these awesome and easy cupcakes. These cupcakes are at the top of my list along with the BB8 ones. I love that she used the tiny heart sprinkles for the mouth. I'm sure if you are really creative you could put a Queen Amidala twist on these. Those are my top favorite easy Star Wars themed cupcakes that I found, but if your're like me and just love pretty pictures of cupcakes you can see more of my Cupcake Sunday posts Here and Here.